Shhhh …Don’t tell the ACLU. Replacing violence-prone traffic stops with letters in the mail? What’s not to like? Oh, and the bill to allow police access to traffic camera recordings for purposes of criminal investigations is dead. Cameras don’t discriminate. Why would the ACLU have a problem with this? They don’t like the idea of having ANPR cameras everywhere, functionally tracking everywhere you go. There is no reasonable expectation of privacy in a public place. CC cameras and automated enforcement systems, similar to what they have in the UK, would greatly improve road safety and lead to more efficient, accurate police investigations. We don’t live in a society where the government tracks our every move. The UK has a very different system than ours. “Accurate, efficient police investigations” is not a right of the government; the government doesn’t have rights, the people do. I have a right to anonymity. If I’m legitimately in an HOV lane, or turning right legally from a bus lane, the government shouldn’t be able to use that data for some other reason. You need to read the constitution, and settled law regarding the expectation of privacy in public spaces. You absolutely do not have the right to anonymity in a public space. If you want to be completely anonymous, you are free to live in a shack up in the mountains. Modern society can take advantage of technology to more efficiently use public resources, by law. I should know this but I haven’t been able to follow WA leg closely: whither the statewide ADU liberalization bill? Alive or dead? Amended into uselessness? SB 5812 is currently in the House Rules Committee, and has until 5:00 pm Wednesday to get out of the House. Sightline has several good articles on it and its companion bill, HB 1797. It’s basically been amended into uselessness. 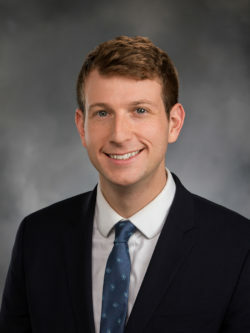 Senator Saldaña added the amendment that “exempts cities that have adopted accessory dwelling unit regulations on or before the effective date of the act from the accessory dwelling unit regulation requirements” and simply encourages cities to adopt ADU regulations in line with the state regulation. And it looks like the House has made a few more changes to water the legislation down further, like allowing local ordinances to include owner occupancy restrictions relating to ADUs and removing language prohibiting a requirement for off-street parking for ADUs within 0.5 mile of a transit stop. People who don’t want it to get a lot worse than this. I have to say I’m not terribly thrilled with this development on a piece of legislation that we were told was dead for this session. I’ve explained my objections to the bill on previous posts, but it basically boils down to the inconsistency in adjudication for the same moving violation infraction depending on method of enforcement. Additionally, the carve-out provision for “a city with a population greater than five hundred thousand”, code for Seattle, only adds to the inconsistency. Fwiw, I have these same objections with the existing statutes. My question to the OP is this: what procedural move did the House Dems pull off to get this ESB back for a third reading and a floor vote? I reread the House rules just yesterday and I can’t quite understand how this all played out. Finally, it seems like the following provision was added to entice some House Reps to vote for the bill, which I guess sort of worked. They made it a budget bill (necessary to implement the budget) probably by adding the highway safety funds. It just doesn’t make sense to me that the form of enforcement can modify the underlying nature of the infraction. Isn’t that how red light cameras work? If I run through a red light, and a cop catches me, he can give me a major ticket. He can ask me to step out of the car, give me a breathalyzer, and if I refuse, impound the car. The ticket will be reported to my insurance company, and as a result, my insurance costs will go up. On the other hand, if I get caught by the camera, I just pay the ticket. My insurance doesn’t go up. No one checks my car to see if it is in working condition, or checks my ability to drive. It seems like they have already set precedent with this for a while now. You could even make the case that this sort of thing has been going on for a long time. If I park in a tow-away zone, I could get a big ticket, or my car could get towed. The first would be expensive, but nothing like the second (which always comes with the first as well). Yet this has been up to the government agency the whole time. They might enforce it with just a ticket, they might tow you. I believe you and I have had this discussion before. Lol. Your example at the end of your comments isn’t persuasive at all as it isn’t analogous to the issue at hand. In your hypothetical situation, whether your illegally parked car is towed or not, the underlying infraction is still adjudicated in the same way. Furthermore, it still remains a simple parking infraction and thus you don’t have the same inconsistency as I’ve described with camera enforcement for transit lane (or red light) violations. Yeah, sure, but so too is a red light violation. I have every right — in both cases — to take the dispute up with the judge. The only difference is the penalty. In the case of the red light camera, you are basically waiving your right to a fair trial and thus paying a smaller fee. Think of it like the state basically settling with you to avoid the extra cost. In the case of a cop pulling you over, though, the state feels like they have an extremely strong case (based on the word of the cop). They won’t offer you a deal because they don’t feel they need to. This contrast (between someone who pleads guilty and someone who has their day in court) is common, and obviously unfair. Someone who claims they are guilty (under oath) pays a smaller penalty than someone who claims they are innocent. Yet without it, our justice system would be even busier than it is now. This is incorrect. In the case of the automatic camera-enforced citation the underlying infraction, the moving violation, is essentially reclassified into a non-moving violation. This is not the case with your hypothetical illegal parking citation; the underlying nature of the infraction stays the same. Whether you challenge the citation in the former is irrelevant. The method of enforcement ALREADY changed the nature of that infraction from a moving violation to a non-moving violation. A person who is cited by a law enforcement officer for the same offense isn’t afforded that luxury. And if this bill, in its current form, were to become law, only drivers cited in the city of Seattle get that luxury as well. Sorry Bellevue, Tacoma, Spokane. Now we are arguing semantics. I would consider a different classification of infraction to be a different penalty. Regardless, the point is, there is nothing stopping the state — at any point — from downgrading a charge. Get in a drunken bar fight and the cop can get you for destruction of property, drunkenness and assault. But instead the cops just charges you with assault. Get pulled over for speeding and making an illegal lane change, but the cop writes you up only for the latter. Or he just gives you a warning. There a dozens of examples of this sort of thing happening every day. This is at the time of enforcement (well before you see a judge). As for your last sentence, there is nothing stopping a cop from pulling you over for driving in the bus lane. It is quite possible you could get two tickets, just as you can get two tickets if you run a red light (or speed in a school zone). You get one from the automated camera, and one from the cop. I honestly don’t know what happens in that situation, but my guess is that you can have the camera fine waived, but will still be forced to pay the ticket from the cop. I just don’t see the problem. It isn’t consistent, but very little is consistent when it comes to law enforcement. The law seems like a very reasonable way of balancing things. If a cop pulls someone over for driving in the HOV lane, then the cop is the first arbitrator. They may listen to the driver, realize they are from out of state, and decide to give them a warning. Or they may realize the driver was obviously trying to cheat the system (based on the low likelihood of being caught) which is why a high penalty is in order. With a camera, you have changed the likelihood of being caught, but eliminated the chance to explain your way out of it. Thus the initial warning makes a lot of sense. It also makes sense that the fines increase, and never get as high as the ones for someone who is pulled over. There is no reason to have a really high penalty if the person gets a ticket every time they commit an infraction. I guess I see no problem at will with basing the penalty (or underlying infraction) on the mode, given the advantages and disadvantages of the mode. Frankly that’s a cop-out. Your logic and your hypothetical analogy about illegal parking just don’t hold water. A change in the classfication of the infraction, caused directly by the method of enforcement, is a change in the offense being charged, not the penalty. To argue otherwise is just silly. Additionally, your broader statements about the countless inconsistencies in our justice system don’t help your argument; rather, they actually show the weakness in your argument. It’s akin to saying, “well, we have all these other inconsistencies in the application of our statutes, what’s one more?” (RQ). Getting back to the ACTUAL issue at hand…..
That’s true of course, and in this case it’s being done AUTOMATICALLY each and every time a camera-generated lane violation citation is issued. Those drivers who committ the very same offense but are issued a citation by a law enforcement officer are not granted that same luxury. Your examples of officer discretion (which obviously come into play in numerous ways everyday in our society) just aren’t relevant to the core of the legal argument here. The camera-enforcement statute, once a violation is recorded and the process is started to issue the citation, HAS ALREADY MADE that determination, i.e, the vehicle OWNER has committed a non-moving violation. Conversely, and as I have stated previously, that same offense committed elsewhere and enforced by a police officer instead will result in a different outcome, i.e., the vehicle DRIVER being cited for the moving violation. Therein lie the inconsistencies. The rest of your commentary is simply more narrative about officer discretion, which as I explained previously isn’t a terribly compelling argument from a legal standpoint. It doesn’t change the fact that the mode of enforcement AUTOMATICALLY changes the nature of the underlying offense for the sake of expediency and creates this dichotomy of outcomes. The police officer (setting aside his enforcement discretion) issuing a citation for the very same offense has no choice but to cite the driver for a moving violation. Finally, it’s noticeable to me that in your reply you didn’t address the Seattle carve-out provision, which is another aspect of the proposal that bothers me. Why shouldn’t we have consistency across our region’s municipalities when it comes to enforcement of our rules of the road? (RQ) I guess Bellevue isn’t special enough, yet, for its carve-out. If the legislature is comfortable enough to further extend camera-enforcement legislation that reclassifies traffic infractions from moving to non-moving violations, then they should simply make that change universal regardless of the mode of enforcement. The legislature has such authority to effect such a change through its mandate on the DOL to establish necessary rules (RCW 46.20.289), and through other means if necessary. Then I have no problem with the city of Seattle installing as many traffic-enforcement cameras as the statute allows since the above-stated inconsistencies would then be eliminated. Everyone cited for the same traffic infraction, would be treated equally, regardless of the enforcement mode. Love seeing the self-proclaimed law and order party in action. I’ve always been worried about automated cameras for this very reason. Mission creep. Once they are there the government will find lots of excuses to use those cameras for other reasons. Safety, it’s always about safety. Lane hoggers, then jaywalkers, then let’s look at sidewalks and watch for littering, then protesters, then dissidents. “Let’s arrest them all just to be safe.” Nope, let’s nip this in the bud. Why haven’t those things happened in the UK? Is their government fundamentally different somehow? Yes, very much so. CCTV, as the Brits refer to it is everywhere in London and many other large England cities, specifically to watch people. Came out of the “Irish troubles” and still exist because of fear of “terrorism”. Sorry, is the British government is jailing dissidents? You’d think in the midst of the total disaster that is Brexit it’d behoove the Tories to start jailing Corbynistas. So, a Red Lane violator are ye lad? Red light cameras already exist, buddy, yet a totalitarian state we are not. Not yet. Only the people can stop it. Most totalitarian governments in recent history have been embraced by the people because they were afraid. One can see the seeds sprouting in the US of A.
It’s really telling to see people say this isn’t a totalitarian state when we have literal concentration camps. Was the US a totalitarian state in the 1940s when we had a much larger portion of the population in concentration camps, and they were US citizens rather than asylum seekers. Let’s not stretch the word totalitarian so far it becomes meaningless. What we should worry about is potential future totalitarianism or fascism, as laid out in two notable books, “The Road to Unfreedom: Russia, Europe, America” by Timothy Snyder, and “Fascism: a Warning” by Madeleine Albright. People concerned that traffic cams are creeping totalitarianism are often not the same people concerned about concentration camps, no. OMG, ticketing lane violators by mail will cause us to become the nation with the largest prison population. It is well past time we start differentiating between tracking motor vehicles and tracking people. Also funny that 99% of motorists willingly allow themselves to be tracked by their phone and apps anyway. It’s OK if it’s for Waze to route you through some neighborhood street not meant for through-traffic but once you plow some kid over on your way through it is somehow an outrageous affront to personal liberty to pull the gps data and hold you accountable for your actions.